The cover of this issue depicts entertainment in retail. It’s Showtime! Packed with case-studies that demonstrate the very best in creativity, innovation and forward thinking, the Global Innovation Report is GDR’s unique quarterly publication. 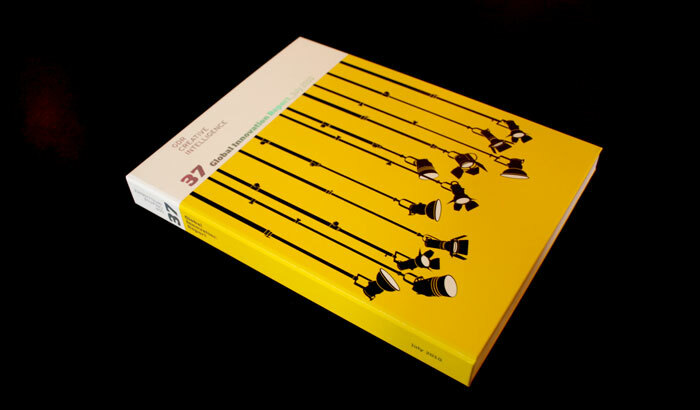 Invited to design the cover of the book based on the theme - Performance, we decided to adorn the cover with multiple hanging spotlights in a striking graphical approach. This approach is to connote the idea of brands and retailers being positioned in the spotlight as consumers seek entertainment and joy.